Editor of the anthology Burn It Down. Freelance essayist, journalist, and editor. Writing instructor. 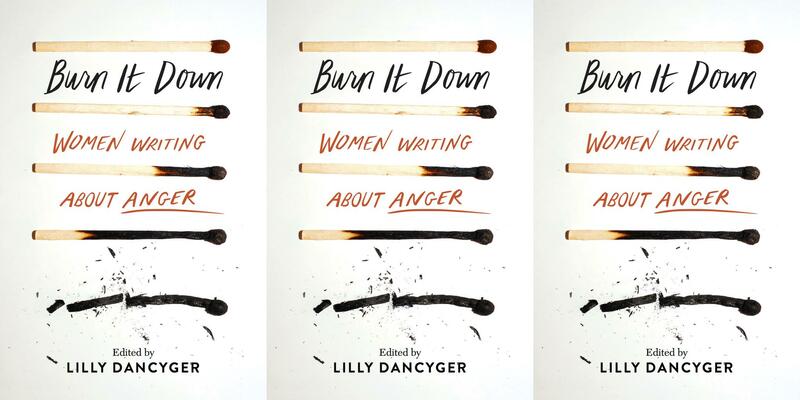 "A rich, nuanced exploration of women’s anger from a diverse group of writers," forthcoming from Seal Press: October 8, 2019. The best memoirs are the ones that not only bring you into the experience of the writer but shift your understanding of yourself in the process. T Kira Madden’s debut, Long Live the Tribe of Fatherless Girls did this for me to a degree I’ve never experienced. I understood of course that time had passed since the 1930s in Paris just like it had in New York, that many of the same problems likely existed there. But in a much more visceral way, it was easy to believe that the uncorrupted, smoky, jazz-filled utopia of Nin’s Paris was a real place I could travel to if I wanted it badly enough. When I was thirteen, I discovered witchcraft. More accurately, I started paying attention to it. It had always been around me, in the silk-wrapped tarot deck on my mother’s dresser, and the sage she burned every time we moved into a new apartment. But when I was thirteen, I dove in and studied with a hunger and dedication I had never applied to anything before, and one that I never quite matched again; not even when I went to graduate school ten years later. As a writer and editor of personal narratives, I’ve been having a bit of an existential crisis since the 2016 presidential election. I’ve been wondering if there’s space for the personal and internal in a world so politically fraught; with people having their rights stripped away in new and horrifying ways every day, what place do I have reflecting on the past traumas, joys, and humiliations of my own life? As I awkwardly wiped condensation from my plastic cup of wine onto my dress slacks, it occurred to me that I’d done such a good job of making something of myself that I’d made my past invisible. It’s not unusual to keep talismans of people we’ve lost — often jewelry given as gifts by the deceased while they were still alive, or sometimes inherited. Photographs, letters. But wearing a dead person’s clothing (not clothing that they gave to you while they were living, but articles that they put on their bodies while those bodies still breathed) provides a feeling of corporeal closeness that’s hard to replicate. A photo recently blazed across the Internet: an Ohio couple in a car, both passed out, having overdosed on opiates. The woman in the passenger’s seat is pale and ashen. Her head is lolled over to one side, her mouth agape. She looks dead. It’s a deeply disturbing image, even before you notice the child in a car seat behind her, looking right into the camera. Distrust of the mainstream media is not just an alt-right problem. Some on the left also believe that the major news outlets like the Washington Post and the New York Times are in the pocket of big government and are committed to telling us the party line. For more than a decade now — in a search that began shortly after Viagra hit the market in 1998 — pharmaceutical companies have been hunting for a female answer to the little blue pill, with little success. The Satanic Temple, a Salem-based political organization with a focus on the separation of church and state, recently launched a secular after-school program to counteract what they see as harmful proselytizing by Christian evangelical programs across the United States. Two Democratic electors are hoping to convince their colleagues to select someone other than Trump for the presidency. Michael Baca of Colorado and Bret Chiafalo of Washington state call themselves the Hamilton Electors, in a nod to Alexander Hamilton’s explanation of the Electoral College.